The 2014 Western States Champion, Stephanie Violett, has three Western States finishes under her belt. She also rounded out her 2017 season with an eighth place finish at The North Face 50-Mile Championships and kicked off 2018 with a course record at The FOURmidable 50k this spring. Amanda Basham will toe the start line at Western States coming in hot off a big win at the UROC 100k and a second place finish at the Tarawera Ultramarathon. "I’ve struggled with low iron pretty much my entire athletic career. Since working with InsideTracker I’ve been able to finally get that number up, which has helped improve other deficiencies at the same time. I’ve had an extremely noticeable difference in my ability to train and recover." Stepping up to the start line with two sixth place Western States finishes and a 10th place finish at this years 2018 Vibram Hong Kong 100k, Nicole Kalogeropoulos used InsideTracker to optimize her training and recovery. "What I've learned from InsideTracker over the past year is really how to monitor my cortisol levels. When cortisol is high it can inhibit how you absorb other nutrients like iron. So what I've been doing is monitoring my sleep and getting more of it and finding ways to relax everyday. And I've seen that number go down and things like my iron and ferritin go up which has been really helpful when it comes to training and racing this spring." Next up, Kris Brown will be coming in off a strong 2017 with a first place finish at the San Diego 100 mile and fourth place at The North Face 50 Mile. 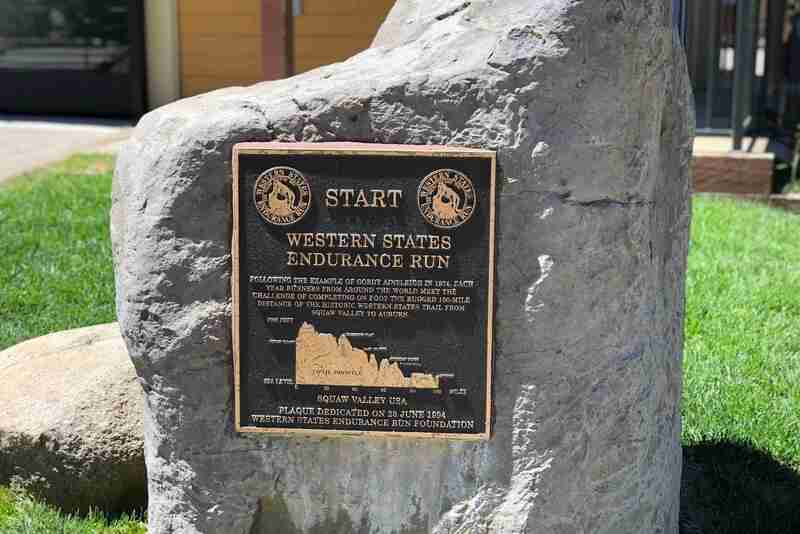 The Western States 100 always proves to be an exciting foot race and we look forward to watching these athletes crush the course and their goals all season long. Be sure to stay tuned on our Instagram stories throughout the weekend for some live action from the course and on our blog in the coming weeks as we catch up with these athletes post-race to discuss how testing with InsideTracker can fast-track recovery! Reynolds, Gretchen. “How to Do the Shortest Workout Possible.” The New York Times, www.nytimes.com/2017/02/01/well/move/how-to-do-the-shortest-workout-possible.html. Reynolds, Gretchen. “Exercise May Enhance the Effects of Brain Training.” The New York Times, www.nytimes.com/2017/11/22/well/move/exercise-may-enhance-the-effects-of-brain-training.html. Weston, Matthew, et al. "Effects of low-volume high-intensity interval training (HIT) on fitness in adults: a meta-analysis of controlled and non-controlled trials." Sports Medicine 44.7 (2014): 1005-1017. Gillen, Jenna B., et al. "Three minutes of all-out intermittent exercise per week increases skeletal muscle oxidative capacity and improves cardiometabolic health." PloS one 9.11 (2014): e111489. Herrmann, Markus, et al. "Comparison of the influence of volume-oriented training and high-intensity interval training on serum homocysteine and its cofactors in young, healthy swimmers." Clinical chemistry and laboratory medicine 41.11 (2003): 1525-1531. Hackney, A. C., et al. "Testosterone responses to intensive interval versus steady-state endurance exercise." Journal of endocrinological investigation 35.11 (2012): 947-950. Shepherd, Sam O., et al. "Low-volume high-intensity interval training in a gym setting improves cardio-metabolic and psychological health." PLoS One 10.9 (2015): e0139056. Musa, Danladi I., et al. "The effect of a high-intensity interval training program on high-density lipoprotein cholesterol in young men." The Journal of Strength & Conditioning Research 23.2 (2009): 587-592. Hallsworth, Kate, et al. "Modified high-intensity interval training reduces liver fat and improves cardiac function in non-alcoholic fatty liver disease: a randomized controlled trial." Clinical Science 129.12 (2015): 1097-1105. Tabata, Izumi, et al. "Effects of moderate-intensity endurance and high-intensity intermittent training on anaerobic capacity and VO2 max." Medicine and science in sports and exercise 28 (1996): 1327-1330.